Does Your Hot Tub Need a New Heater? Looking for a place to unwind and release the tension that has been building up in your muscles and joints? Your very own hot tub is the perfect retreat is to come home to. Sitting in a the warm, bubbling waters of your tub can be all that’s needed to get rid of all the tightness in your body that’s brought about by mental or physical stress. But what happens when you step into the tub only to realize that it’s not even warm? Over time, some of the components in your hot tub will need repairs or replacement. A spa heater is a key element as soaking in the hot water is what provides a lot of stress release and helps relax the muscles. So you will need to troubleshoot if your spa is not heating. Sometimes the problem can be as simple as needing a new element for the spa heater. If this is the case, you’re lucky, because replacing an element is easy and very affordable. Another relatively simple problem to fix is the filter cartridge. This component needs to be cleaned on a weekly basis and replaced every year or so, depending on usage and maintenance. A spa filter can quickly build up with dirt and debris, and become clogged to the point that it limits optimal flow of water to and from the spa pump. Some equipment may stop working when there is a flow problem. There may be times when other components, like the pump, are faulty, causing the hot tub water to remain cold. Your pump needs to be running in order for the spa water to heat up. When you’ve tested all other components and none of them seem to be the culprit, it’s time to check the heater. However, diagnosing what the problem is can be a challenging process which should be dealt with by a professional, as you’re dealing a component that uses electricity and water – a dangerous combination. The good news is that you can quickly and easily buy spa heaters online that are both affordable and of high quality. And at The Hot Tub Outpost, you get great prices and free shipping with orders over $95 – so heaters ship free! Find a wide range of replacement spa heaters online, along with hot tub pumps, replacement filters, filter cleaner, chemicals, hot tub covers, spa accessories and more. Visit www.HotTubOutpost.com for all your hot tub needs. When your spa can no longer be fixed and needs to be replaced, they also sell discount hot tubs at great prices. The spa pack in your hot tub is basically the guts of its entire mechanical and electrical working systems. You can typically expect a spa pack to last about 8 to 10 years. Considering the fact that the average spa shell lasts at least 30 to 40 years, spa owners will most likely have to replace their spa paks at least once or twice – if not more – during the life of the hot tub. You don’t necessarily have to buy the exact same spa pak that you had when you first bought your hot tub. In fact, there are other options available when it comes time for replacement, rather than get a highly marked up pack and service from your spa dealer. The main manufacturer of spa packs in the world is Balboa. The majority of hot tub manufacturers don’t make their own spa paks, but buy them from a manufacturer that specializes in these products. You just need to order the one that fits based on the pumps and features in your hot tub. Your best bet when it comes to replacing your spa pak is to take advantage of the latest, most innovative technology. Manufacturers of these components are constantly trying to improve the design of these paks in order to make their functionality as efficient and effective as possible. That’s why it’s wise to buy Balboa spa pak for your hot tub, as this brand is considered to be among the best in the world of hot tubs. By the time your spa pak fails, you probably won’t be able to find the exact same model or brand at the time of replacement. It’s most likely been replaced by a newer design, which in essence puts the hot tub owner at an advantage. To buy a Balboa spa pack, look no further than The Hot Tub Outpost! They have a large online selection of spa packs in all major brands including Balboa, Waterway and CTI, to name a few. Save time and money buying all of your hot tub parts and accessories online with Hot Tub Outpost. Their website also offers handy guides for water maintenance and getting the most out of your hot tub. You can find a full set of spa replacement parts including filters, covers, chemicals, steps and more. Choose from a wider selectionand never pay retail again! 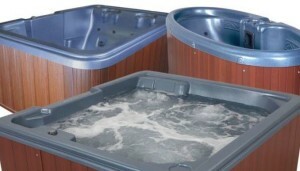 Visit www.HotTubOutpost.com for all your hot tub needs. What are the Best Hot Tub Features? 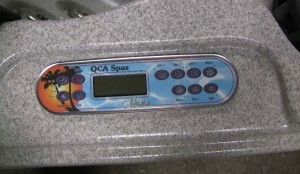 When it comes to hydrotherapy, QCA Spas offers a wave lounger so every spot on the body gets massaged as the moving massage goes row by row. One consideration is how much hydrotherapy or how many jets are desired? Up to about 40 jets works with a single pump spa. Any more than that should have 2 pumps in the spa. Another pump is the air blower that is also found in the higher end spas. Zoning is a system that moves water flow from one section of the spa to another. This helps a one pump spa provide more power to a particular side of the spa as needed. The deluxe spas with air blowers also feature turbo charging where the water gets another boost from the forced air of the blower that can be routed through the water lines or through the dedicated air injectors for a more champagne like bubbling that spas are known for. 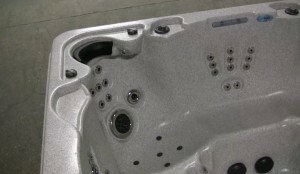 Many quality hot tub features are hidden such as quality, name brand components, pumps, controls and heaters. Other features are out in the open for all to see such as the waterfall feature or LED lighting. 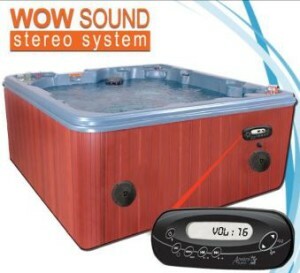 A sound system can also be added to most any spa. There is the lower end sound system with speakers and the high end Vibrasound system that turns the spa shell into the speaker creating a uniform sound field no matter where you sit in the spa. The Vibrasound system also adds the subwoofer for true bass. Although an aromatherapy canister can be added to most spas that are outfitted with a spa blower, the most popular form of aromatherapy comes in liquid or crystal form that can be added to any hot tub, even those without a dedicated aromatherapy system. Another nice feature is the integrated chemical dispenser inside the filter. This avoids having to use a floater to hold the bromine or chlorine tablets. Want a salt water spa? 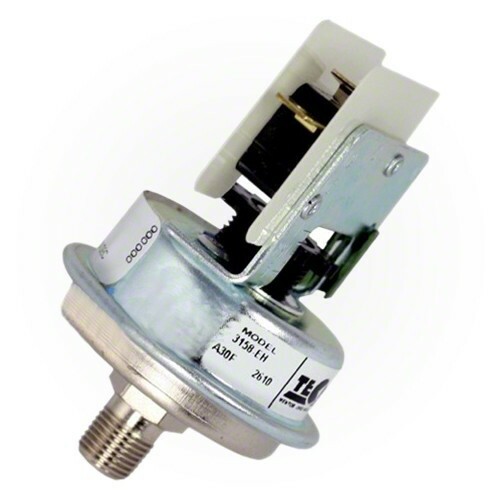 Almost any mid-range or higher end QCA Spas can be upgraded to a salt system by adding the bromine salt system. Just buy the Bromicharge sodium bromide and put a reserve in the spa water, then the chemicals to kill bacteria and sanitizer the water are manufactured automatically by the bromine salt system cell. 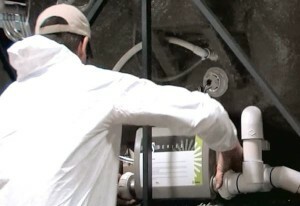 Unlike an ozonator that can be retrofitted later, the bromine salt system is best when factory installed at the time of ordering to avoid a costly service bill. When using the spa outdoors, always use a hard cover instead of a flexible soft cover that may come standard with the lower end spas. Get a free hard cover upgrade on those spas as well from Hot Tub Outpost. They believe in offering quality from the get-go to avoid any unpleasant surprises. After all, you want to get into your spa and enjoy it from day 1, and not receive an incomplete kit. Have any questions about buying the right hot tub? Contact the folks over at Hot Tub Outpost for knowledgeable assistance. The HL700 has a comfortable lounger, but it is not a standard lounger. This wrap-around lounger allows for use as a lounger and seating because it wraps around the corner. In most lounger spas, only 1 person can use the entire area of the spa taken up by the lounger, however in a wrap-around lounger as featured in the QCA Spas HL700 hot tub, you can also use the lounger for upright seating because it is a flat level surface that extends around the corner. 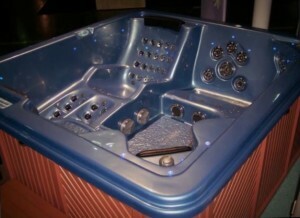 The HL700 lounger is also found in the QCA Spas Dream Waver 7 person hot tub with 53 jets. Another HL700 style spa is the Day Dreamer with 40 jets. These 7 Person lounger spas have dimensions of 82″ L x 82″ W x 36″ D and a water capacity of 425 gallons. When comparing dimensions among hot tubs, it is important to also compare water volumes as this is a good indicator of how much seating room is in the spa. The higher the gallons, the more space there is inside the spa for moving about. The HL700 family of spas operates at 230 volts and features a wide variety of massage jets including a 14 Jet Turbo Massage spa jet and lower & mid-back adjustable/directional/mini massage jets. There are also adjustable back jets configured to mini massage and directional style as well as large adjustable vortex and adjustable rotational jets. Powered by a 4.2 MBHP horsepower Hi-Flow Pump, this quiet operating spa features a low cost circulation speed and a high performance second pump speed. The spa shell is made of Lucite-Xtra ABS-backed acrylic with the Dura-Bond™ four layer strengthening process. The spa cabinet is called Weather Guard™ Maintenance-Free Cabinet and features reversible panels for easy access and maintenance. A hard cover that is lockable and weather resistant is included. The HL700 includes a Heat Recovery System and exceeds California Energy Compliance Mandate for energy savings. High quality brand name spa controls are made by the industry leader, Balboa. 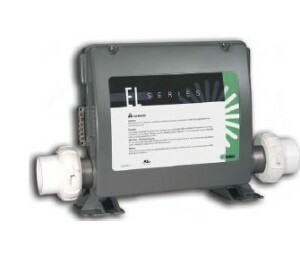 The built-in filter system keeps the water clean and the replaceable cartridge filter is also included. The HL700 is unique in that it offers the wrap around lounger along with Zone Control™, a dedicated Air Flow Control System (not a blower), and is delivered ozone-ready. Standard outfitting also includes the 12 Volt Standard Light. Add the factory installed ozonator or LED light bulb as an options. 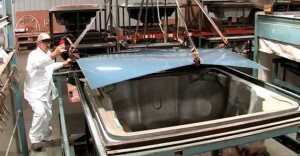 The HL700 spa is ETL & CE listed and like all QCA Spas, this hot tub is made in the U.S.A. Enjoy easy operation with the 4 button Balboa digital topside control panel. Select massage, temperature, and lighting and enjoy life in your luxurious and flexible wrap-around lounger! One of the main reasons to own a hot tub is to enjoy the benefits of hydrotherapy and massage. The basic idea back when the Jacuzzi brothers were introducing hot tubs, is that a pump move water to jets that provide a soothing massage. A warm water massage is invigorating and helps get blood flowing. Water stores and carries heat and energy. Relieve tired, aching and sore muscles with a massage provided by the spa jets. There are various jet configurations in each seat type to help vary the pressure points and areas of the body to receive the beneficial massage treatment. Even a single jet with water flowing through its orifice can provide some degree of stimulation and relaxation, but a cluster of jets is even better for treating larger areas of the body. Foot jets can even reach the soles of feet while ankle and leg jets provide a soothing massage to calfs, thighs and legs. A full body massage lounger such as the wave lounger found in GT500, Cozumel Ultra and Paradise Ultra spas provide scores of jets to benefit the entire body with a dynamic massage controlled by a separate panel. Whether your spa has a full-blown digital whole body moving massage or clusters of ideally placed spa jets, the hydrotherapy benefit is much greater than the single jet type hot tubs often found in hotels where only 1 jet near the center of the back provides the massage. This is one of the benefits of portable spas vs. inground spas, is that you will find many more jets in the portable spa varieties. It is rare an in-ground hot tub will have more than about a dozen jets. Some do offer an air system with air injectors, but the primary hydromassage comes from the water jets which moves water towards the body and not just air bubbles, although air bubbles can feel relaxing too. A turbo charged air system is one in which there is duplicate plumbing so that air from the blower can be introduced into the water jets, creating a more powerful stream that provides an invigorating hydromassage. This in contrast to the simple Venturi air that is provided by a topside air control that allows more air to flow along with the water from a particular jet or jet group. Venturi is not forced air, but merely accompanying air that glides in as the water is flowing. The blower-powered turbo systems actually move the air forward and create a more powerful water stream in turbo-charged systems such as QCA Spas hot tubs that come with turbo air blower systems. The actual hydrotherapy or alternative medicine water treatments used by occupational and physical therapists is a similar concept to hydrotherapy found in hot tubs. Moving hot water stimulates blood circulation and can actually treat symptoms of certain diseases. The basis of hydrotherapy goes back to the ancient Greeks and Romans. Public baths have been a mainstay of many societies around the world. Natural hot springs often provide moving hot water through vents with hot water streams emerging from the Earth. Some of that water is too hot to actually sit in front of. With a hot tub, we have the luxury to control the water temperature and also the strength of the water massage. If your heater is no longer working, you can still try Cryotherapy (cold water immersion) until you get a new heater shipped out asap from Hot Tub Outpost. Hot tub Hydrotherapy massage benefits from a hot tub are delivered through a variety of multi-jet placements. Some jets such as the 14 Nozzle Turbo Jet actually are 14 jets in 1 with 14 streams of water providing a wide area of coverage. Selecting a hot tub is based on size and budget, but also on the variety of jet configurations the spa provides. Once 30-40 jets are in a hot tub, it is best to operate the spa with 2 independent spa pumps, allowing for up to 80 or more jets to provide an even massage. A manifold plumbing system in a hot tub distributes the water pressure evenly to a wide assortment of spa jets. Jets can be different colors and styles as well, with some looking like grey or white plastic types while others are adorned with the stainless steel look. Some jets have single, stationary nozzles while other spa jets have rotating single or dual nozzles. Some jets have large faces and some have small faces, but the size of the actual orifice or hole in the jet determines the water stream. Some jet types of the same size are actually interchangeable/replaceable. This means if you have, say, a 3 1/2″ rotating jet and would like a stationary one there, just swap out the jets with a similar size model that has the rotating or stationary feature you like. To remove most spa jets, just turn them counterclockwise past the detente position and they unscrew completely, allowing the new jet insert of the same type to replace it quite easily. Other jets such as fixed Euro jets cannot be replaced. The benefit to having a larger spa with 2 jet pumps is that you typically get more jets and more clusters so as you move from seat to seat you can vary your hydrotherapy experience. Look for neck jets or should jets in some models, and a wide variety of jet placements that are sure to please. Enjoy your Hot Tub Hydromassage and get all your hot tub supplies at the Hot Tub Outpost USA.